Do you want to run an ecommerce business? Not sure where to start? Ecommerce businesses are steadily growing and showing no sign of slowing down in near future. Ecommerce business requires less investment to start. Yes, you don’t need to invest a huge amount of money to start an ecommerce business. For eg. the cost to develop an ecommerce website has become so much affordable that you can easily get an e-store for your business and start selling your products online in just 1 month. Ecommerce businesses are convenient for consumers. With an ecommerce website, consumers enjoy the convenience of shopping from the comfort of their home or office at anytime. Ecommerce is instant and seamless. Uploading products on ecommerce websites is pretty instant and consumers can pay for their desired products seamlessly. The first and foremost step to start an ecommerce store is to choose your product niche that you want to sell online. The best way way to choose a product niche to sell on your ecommerce website is to follow your passion. Think about the products that you love to use, and sell them online. So, if you are fond of fashion accessories like jewelry, watches etc. or you love electronic items and gadgets, you can make money selling them smartly on your online shop. Another way to choose a product niche for selling on your ecommerce store is observing the market trends. Perpahsp, you could list down some of the startup yet successful online stores & start analyzing their hot selling products. If you think you can easily arrange those products and sell them online, why not. The next step after choosing a product niche is to decide upon a business/company name and domain name for eg. www.yourstore.com. For the business name, you must get your company registered according to the laws prevailing in your state/country however for the domain name, you must get it registered by the registrar of domains. Alternatively, you can also choose a web hosting company to register a domain name for you. A ‘.com’ domain name costs between $12 and $25 however if you want to register a local domain extension like ‘.co.uk’ or ‘.co.in’, it may cost you a bit more. Which domain extension (TLD or top-level domain) should you choose? It depends on your business market. For eg. if want to sell your products locally in your country only, then you can choose either ‘.com’ or your local domain extension depending upon your country for eg. ‘.co.uk’ (in the UK), ‘.com.sg’ or ‘.sg’ (in Singapore), ‘.co.in’ or ‘.in’ (in India). But if you want to target global market, then a ‘.com’ domain would be good. Ok, now you have the list of products that you will be selling on your ecommerce store and you have also decided upon a business name and domain name. The next thing that you need to do is choose an appropriate ecommerce platform for your online store. There are several open source software like WordPress, Magento etc. available that you can choose to build your ecommerce website. What are the benefits of open source ecommerce platforms? There are several free and paid plugins/modules available to enhance your website. The cost to build an ecommerce website using WordPress open source is quite low as compared to choosing Magento. A WordPress ecommerce website can cost you as low as $800 and a Magento based ecommerce website can cost you about $1500 and above. If you are not sure which ecommerce platform you must choose for building your e-store, you can consult your web developer too. How to decide on a budget for your ecommerce website development? The cost to build an ecommerce website totally depends on the features that you want to integrate on your store. A basic WordPress ecommerce website can cost you between $800 and $1200. What will be the features of a basic ecommerce website? A nice ecommerce template design. Ability for your to manage products & product categories. Ability for you to accept payments online through PayPal. Ability for you to create discount codes. Ability for you to define flat charges for shipping and taxes. Ability for you to capture emails of your buyers and email them for up selling. What will be the features of an advance ecommerce store? Ability for you to accept payments online through PayPal, eNets & other payment gateways. Ability for you to define discount codes & reward points. Ability for you to define flexible charges (based on order value, delivery locatio etc.) for shipping and taxes. Ability for you to up-sell & cross-sell your products to get more sales. After choosing an appropriate ecommerce platform, you must hire a web developer who can build a great ecommerce website for you. And if you are looking for an affordable web developer or web design company, you must outsource your ecommerce web design to India. Yes, Indian web developers can help you to build your ecommerce store at a lower price as compared to your local web design firms. Before you hire any Indian web design company or web developers in India, you must checkout their past works or portfolio. Without checking the quality of their work, you must not award your project to them. 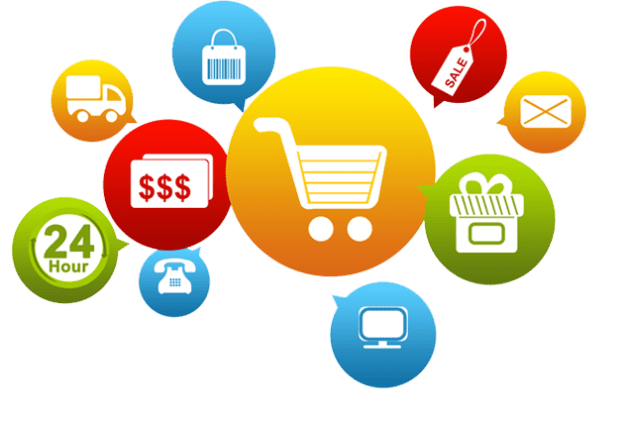 Now since you know the rough cost to build an ecommerce website in India, as explained above, it will be easier for you to justify the quotations that you will be receiving from several web development companies in India. Project understanding is very important than anything else. Even if you’ve got a reasonable quote from an Indian web developer but he hasn’t understood your requirements completely, you must refrain from hiring this web developer. Before you award your ecommerce web design project to any web developer, you must make sure that they understand your project requirements clearly. Is your chosen web developer good in support? How promptly he/she responds to your email? Before hiring a web developer, you must check the degree of support your web developer provides. Need an Ecommerce Website? Get a Quote! Next How Mobile Apps Can Help Your Business Grow?